David H. Berman, MD, FACP, FACG attended Chicago Medical School. He completed his residency at Lenox Hill Hospital in New York City, followed by a fellowship at University of Pittsburgh in gastroenterology, liver transplantation, and liver disease. 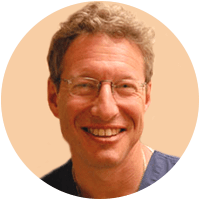 Dr. Berman is a Fellow of the American College of Physicians (FACP) and a Fellow of the American College of Gastroenterology (FACG). Dr. Berman is board-certified in Internal Medicine, Liver Disease and Gastroenterology.